Fredericksburg, VA Self Storage at 2403 Plank Rd. Located on Plank Rd. 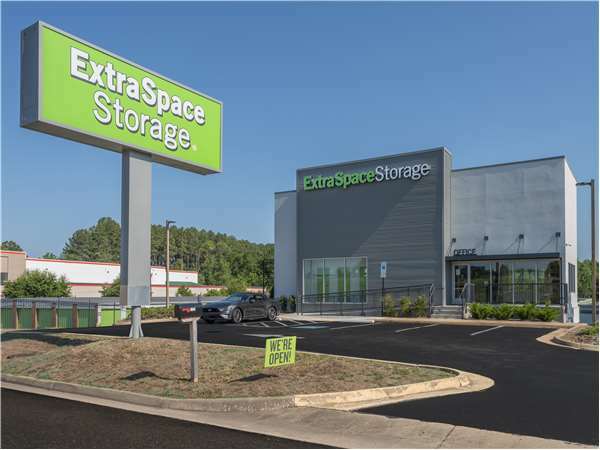 off Ramseur St., Extra Space Storage is an accessible self storage solution for residents of Fredericksburg. Our facility is just off I-95 next to Westwood Shopping Center and Greenbrier Shopping Center. We're also convenient for residents of nearby apartments, such as Riverwoods Apartments, Kendalwood Apartments, Colonial Village at Greenbrier, The Commons at Cowan Boulevard Apartments, The Belmont at Cowan Place, and The Residences at The Belmont Apartments. Extra Space Storage is about 2 miles from University of Mary Washington, making our facility a great option for college students who need self storage over the summer or while studying abroad. With popular storage unit sizes for students like 5x5 and 5x10 units, climate-controlled storage, and exceptional security, we offer everything students want in a Fredericksburg storage facility near campus. With a variety of storage unit sizes and great amenities like climate control and vehicle storage, Extra Space Storage on Plank Rd. can handle everything from residential storage to commercial storage! We offer storage units ranging from 5x5 to 20x20 at this location. Whether you need a small unit for storing dorm room furniture, a large drive-up access unit while moving, or secure parking for your vehicle, we can help you find the storage solution that will work best for your needs. Units with climate control maintain a storage environment between 55°F and 85°F at all times to keep your temperature-sensitive belongings well-protected. We offer climate-controlled storage in sizes 5x5 to 10x20 at our Fredericksburg location. Do you need to securely store a vehicle in Fredericksburg? Extra Space Storage on Plank Rd. has large drive-up units in sizes 10x10 to 20x20 and outdoor parking spaces 8x20 and 12x24 to accommodate vehicles as small as motorcycles and as large as RVs. At Extra Space Storage, we go the extra mile for our customers. With office space available, we make it easy for businesses to operate from the same place where they store inventory and equipment! At Extra Space Storage, we strive to maintain a secure, clean self storage facility, and we pride ourselves on our dedication to excellent customer service. If you have any questions about our services or our facility, feel free to reach out to our friendly, professional staff. They're more than willing to help with whatever you need. 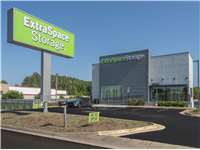 Reserve your storage unit at our Fredericksburg facility today! The staff was great and made everything easy to understand. This is an older complex but other than the office remodeling, everything was kept clean. I was actually really impressed to how nice the unit looked inside. I did some price comparisons and I found extra storage to have the best price. The units are clean and easy to get to. I put a reservation online and was called the next morning to come and take a look at the unit I was assigned. They made sure I was going to be taken care of and answered all of my questions. Very easy process. I needed to upgrade to a larger unit and reserved it online and after hours. Kate really helped me out by first realizing that I was already a current customer and second she found me a unit that was close to my current unit. This was all done before she called me to confirm my reservation. This made my move super easy. That level of customer service is harder and harder to find these days. Decent enough storage space with nice people running the office. The downsides are the hidden (SIGNIFICANT) insurance fee comprising a 20% addition to the rental fee, and the "we keep the balance" rule upon moving out. We are moving out ASAP! My wife and I needed to locate a storage facility in a short amount of time due to a buyer who reneged on our home sale. The personnel at the Fredericksburg location were very helpful with getting us up and running with the facility. Very clean units & hallways are clear. Lights come on automatically which saves energy. It is convenient, competitively priced, and clean and safe. I could drive up to my unit to unload. They are open on Saturdays asa well. People are very helpful and understanding. Every thing is very clean. I am glad that I came to this storage facility. I have been with Self Safe Storage for the last 5 years, there are always someone there to help out with any questions you may have and make their service to you very convenient. Everything about it was quick and easy. The only complaint i've got is I was supposed to be given an email address to the property manager so I could coordinate payments while i'm overseas and have not gotten that. Also I'm being charged a monthly insurance fee I wasn't told about that would have been nice for my planning purposes. Otherwise getting there was easy, checking in and getting my unit was easy. Unit was clean and a little taller then I was expecting but i'm assuming each unit's height will vary. The management and location has been of great value to me over the past year and would recommend this facility to others for future use. This facility provided exactly the services we needed. I love the customer service. If I have any questions or concerns, they are quick to help me out. This location is very close to my home and love I can just run down there and get what I need. I enjoy the great customer service I recieve when on-site and the location is excellent for my convenience. Our rental unit made moving out and then back into the dorm, a breeze. And the price was just right, until they just raised our rate after only a few months. That quick price jump was so disappointing. From I-95, take Exit 130A (Route 3 East). Immediately get over to the far left turning lane. You will see a Wawa on your right. Turn left at the traffic light where you will see Wendy’s on your left. Follow the service road on the left and proceed past Bob Evans. We are the next building after Bob Evans on the right. If you pass KFC and Dunkin Donuts on your left, then you have gone too far. Take Route 3 West to the Gateway Blvd traffic light. Wendy’s will be on the right and Wawa will be on the left. Do not go straight through the light. At this traffic light, veer to the right past Wendy’s onto the service road. Proceed past Bob Evans and we are the next building on the right. If you pass the I95 entrance ramps, then you missed the service road and have gone too far. Take Route 3 towards I95 past Central Park. Get into the far left lane as you pass by both I95 entrance ramps on your right. Continue to the traffic light where Wawa is on your right. Turn left at that traffic light onto the service road where you will see Wendy’s on the left. Continue following the service road where you will pass Bob Evans on your right. We are the next building after Bob Evans on the right. If you pass KFC and Dunkin Donuts on your left, then you have gone too far.